These were among the many ethical questions around AP’s Seafood from Slaves series, a yearlong investigation that resulted in the freeing of more than 2,000 slaves in the Southeast Asian fishing industry. 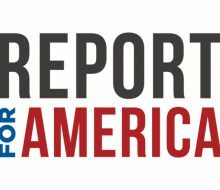 The project, reported by Robin McDowell, Margie Mason, Martha Mendoza and Esther Htusan, was notable for courageous, intrepid reporting, sometimes in the face of great personal danger. The journalists made hard, thoughtful choices that upheld AP’s ethical standards while carrying out a deeply humane mission. The project included a risky reporting mission to Benjina, an isolated Indonesian island village. Our cameras rolled as slaves unloaded their fish onto a refrigerated cargo ship, which was then tracked by satellite to a Thai port town. Journalists followed trucks to factories and cold storage plants, then traced the catch to U.S. supermarkets and restaurants. After the AP’s work was published, thousands of slaves were freed. Ships were impounded. Dozens of people were jailed. Major companies in Asia and the United States promised reforms, congressional hearings were held and a U.S. federal law was changed. One key question for AP’s reporters was their obligation to the enslaved fishermen. In Benjina, McDowell and Htusan found men in a cage and a jungle-covered company graveyard. They spoke to dozens of slaves at the port, in the village and along the rocky beach. Under the cover of darkness, the reporters pulled up alongside a fishing trawler in their small boat. They filmed as captive slaves bravely spoke of their plight within feet of their abusive captain. The reporters, whose boat was nearly rammed by an angry company security man, were afraid the men’s lives would be in danger when AP published its story. The AP realized it had a scoop that was both explosive and highly competitive. So we faced the question: publish immediately, using the men’s names, pictures and video (after all, they were adults and spoke voluntarily); run a watered-down story concealing their identities; or wait, risking being scooped by others, until we could be sure the men were safe. We chose the third option. But that required another decision. Normally we see our job as simply reporting the facts, leaving events to unfold as they will. But in this case, the AP decided to ensure the safety of its sources before publishing. Since local authorities in Benjina had been turning a blind eye to abuses for years, we gave a contact at the International Organization for Migration the names and pictures of eight slaves featured in the story — including one of the caged men. The IOM helped mobilize members of the Indonesian national marine police, which rescued the slaves from the island. Then the AP published. 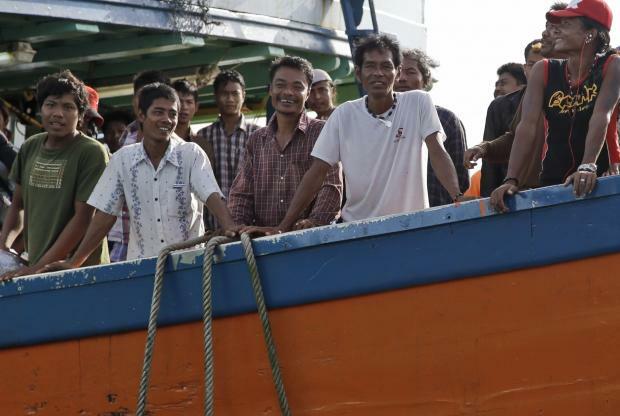 Our reporters also tipped officials in Indonesia and Papua New Guinea to the names and positions of ships linked to slavery in their territories. In this case, the AP felt the possibility that the enslaved men could be rescued outweighed its general policy of just reporting the news. As a result, more men were rescued, ships were seized and captains arrested. Last May, Mason and Htusan traveled to Myanmar to witness the reunion of freed slave Myint Naing with his family, 22 years after he was trafficked to Indonesia on a fishing boat. Joyful as they were over having made the reunion possible, the two focused on reporting the scene, including the collapse of Myint Naing’s mother, overwhelmed by emotion. “I’m an insane note taker, which always help me keep some distance from the person I’m covering,” Mason says. Getting company comment: Before the stories were published, U.S. companies were contacted at least a week ahead of time, offered an opportunity to hear specific details of AP’s findings and urged to provide responses. Some companies used that lead time to try to blunt the AP stories by publishing statements in advance. An alternative would have been to contact the companies just a few hours before publication. But that likely would have brought only a ritual “we’re looking into it” response. To get meaningful reactions, AP was willing to risk letting the companies try to diminish its scoop. Sensitivity toward juveniles: Some of the most powerful images taken following a raid on a Thai shrimp peeling factory were of children — some of them 15 years old, their eyes filled with tears. The children were willing to be photographed. But the AP decided against using any images that could further victimize and exploit them. The many awards the fish slaves project has included prizes that focus on ethics: the Anthony Shadid Award of the University of Wisconsin-Madison Center for Journalism Ethics and the University of Oregon’s Ancil Payne Award for Ethics in Journalism. Payne judge Karen Miller Pensiero, editor of newsroom standards for The Wall Street Journal, cited the reporters’ on-the-spot ethical decision-making behind such a powerful piece of reporting.